From 2014, Parcitank started a research project through a line of the CDTI (Centre for Industrial Technological Development) with the aim of providing a viable solution to an existing problem in all wineries. When a wine storage tank is not completely full and there is a danger of oxidation and loss of quality when exposed to oxygen in the air. Although there are solutions, such as inertization (which has a high cost) or the use of always full tanks (maximum capacity 15,000 lts. ), none is attractive enough to solve the problem definitively. 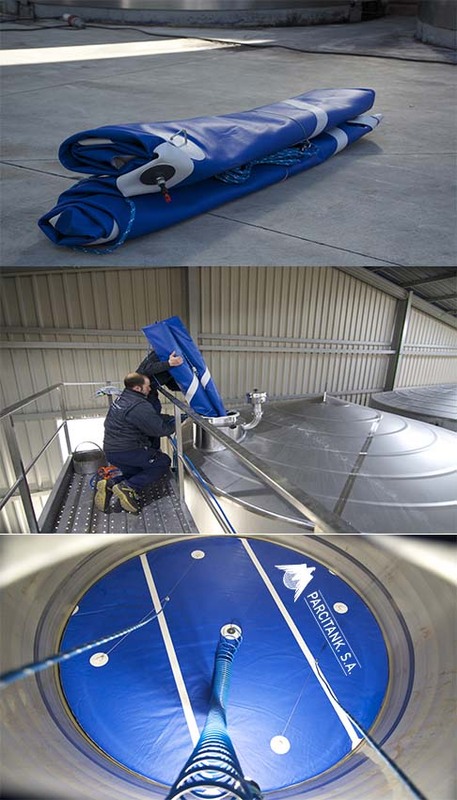 Parcitank has patented a new product that solves this problem without producing costs and avoiding transferring the wine from one tank to another. This product called Beret - Parcitank, aims to? convert any existing tank into an ever-full system. This is a plastic lid made of plastic material (food TPU) which is inflatable and can be inserted and removed from the tank by manholes. It is inflated and deflated inside the tank by means of a pneumatic frame, without any fixed installation in the tanks to be used. 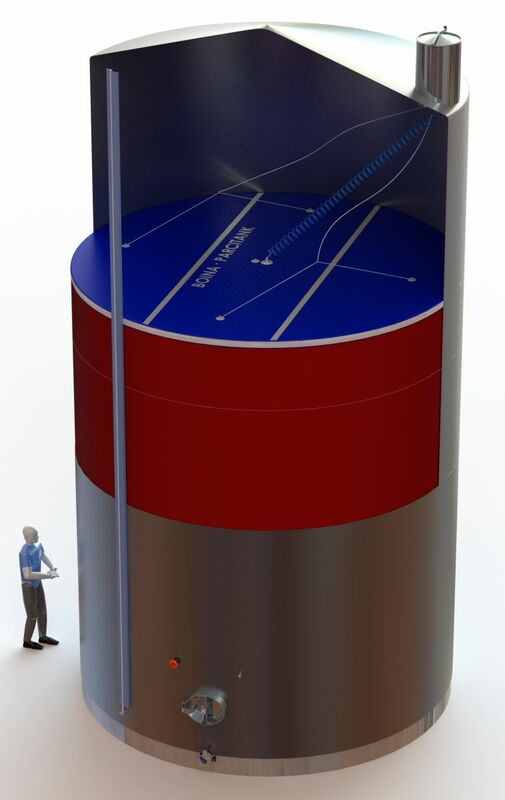 It can be manufactured in diameters from 1500 to 5000 mm). Once filled with air, it floats on the surface of the liquid. A single product can be used in any tank of the same diameter. increasing its diameter and adjusting to the inner wall of the tank, thus making a hermetic seal. Obstacle inside the tank, such as a temperature sensor. It is not a pressure equipment as we never work above 0.5 bar maximum pressure. It is made of food TPU material and complies with all European and FDA food certifications. When not used, it takes up very little space. In short, it is an innovative solution to achieve optimum preservation of the wine in its tanks, avoiding air contact with the wine and loss of sulphur dioxide. It also maintains the sensory quality unchanged. This product received in Enomaq 2017 and SITEVI 2017 the prize for technical novelty.